Sometimes readers get in touch and tell me their renovation stories. 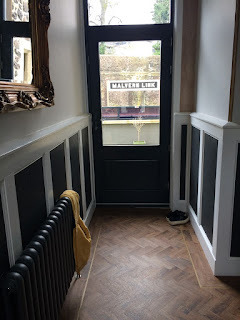 They're always amazing tales - of battles against what lies beneath (the wallpaper, the plasterboard, the floor...); of working until your bones ache; of extraordinary creativity and dogged determination. And they always - at least in the renovation stories you send me - have happy endings. Your stories inspire me in ways any number of George Clarke TV do-ups never could. So I want to start posting more of them on "Wreck". 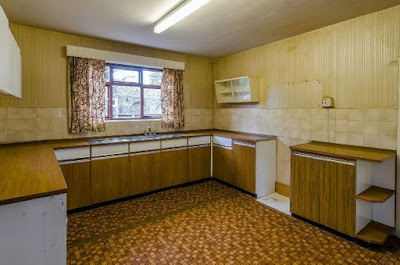 I'll still concentrate on showing you properties to renovate most weeks, but now and then I'll post a renovation special. 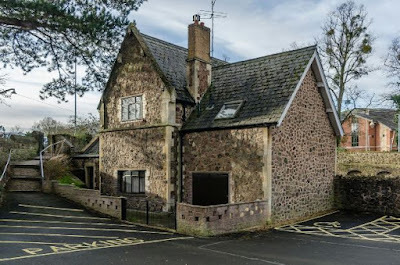 This is Station House, in Malvern Link, Worcestershire. 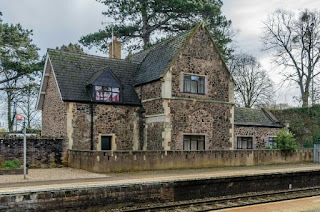 Back in March 2016, I wrote about a house on a hill and a house at a station. This was the house on the station. In March 2016 we saw the Station House at Malvern Link Railway station advertised through local agent John Goodwin - we fell in love and made an offer on the first viewing. Only days after, we saw that you had featured the property on your website. 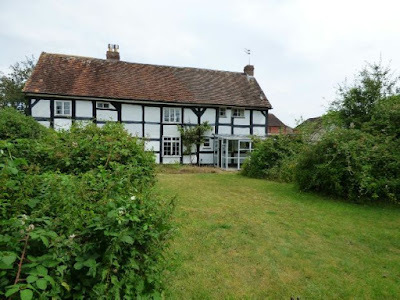 The estate agent set an unofficial challenge for us to put the property back on the map and give it a new lease of life. Nearly two years on we have made some amazing transformations and are finally able to describe it as “WOW” instead of “WOTW”. Lee is a builder, his dad is a builder. That helped, as did the willingness of of both their families to chip in with hard work and suggestions. None-the-less, when the couple moved into Station House, they were living out of one room, with no hot water, no boiler, and one working light. If that wasn't hard enough, they'd moved in with a baby and a toddler (baby number three is due round about the time you read this). 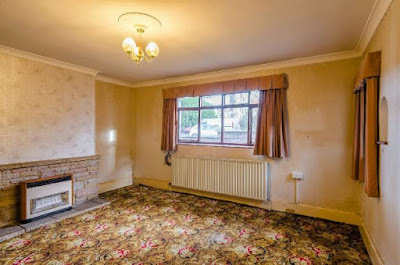 Those 2016 pictures seem to show a house more tired than derelict, but the reality was a building with room shapes that didn't work and an awful lot of those "battles against what lies beneath". Ceilings that had been lowered were uncovered and reinstated. Floors were ripped up and relaid. Walls were moved. Doors and architrave rebuilt from scratch. A massive amount of structural work was undertaken. This is Station House now, with two thirds of it renovated. The section on the left, with the balcony, has been turned into an absolutely stunning holiday let. The bit in the middle is where the family currently live, and that section on the right is due for the Lee treatment next (think removing the roof, "dropping in steels", doubling the height, adding a matching balcony, a new glazed gable end, a hot tub and a massive injection of luxe!). Here's that "before" picture again. Lee isn't your average renovator. Notice the new chimney pots? Handmade King and Queen from moulds Lee designed and built himself. And that renovated stonework on the "after" picture? Painstakingly restored Malvern stone and traditional snake pointing. 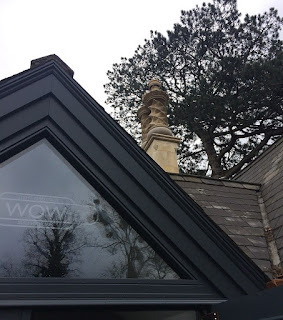 The stonework and repointing (also called ribbon pointing) took around five months of the 20-month project, with Lee using a fork with the centre prongs removed to hand work the lime mortar. 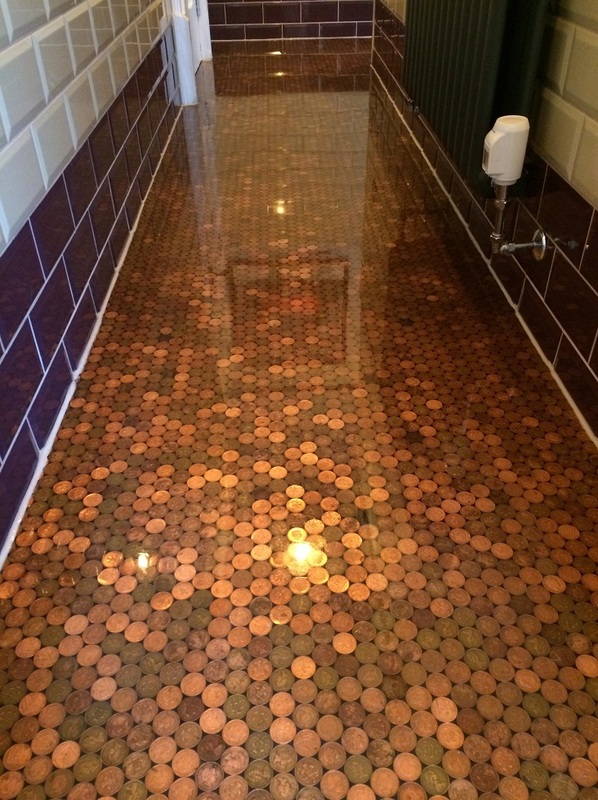 A floor made up of 19,000 hand-laid 2p pieces, covered in tough resin, with walls half-tiled in a traditional finish, and a digital heating system controlled from their phones. 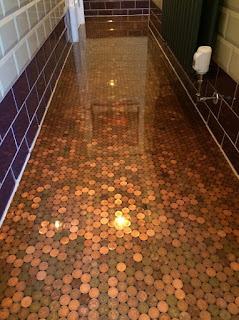 I so love that floor!! Elsewhere, light switches hand made by a relative to keep the 'industrial' look in the details. Aside from the hard work and the building challenges, the couple dealt with spiralling costs and architect missteps ("they can end up drawing what's in their head, not yours") - two things most of us who've taken on renovations or builds will recognise. And their first quarter heating bill of over £2k was a bit of shock: "We switched on the new boiler and the heat pushed all the water out of the walls. It had to dry out." The eventual aim is to have a property which will split into three independent holiday lets or combine into a large group let. At which point, Lee, Chloe, Olivia, Ruben and baby-to-come will move out and onto a new project. Somewhere in the same area. Lee's talking about building a house, Chloe wants a forever home "somewhere a bit greener". I've got this suggestion they - or you - might want to look at. Grade II listed Holly House (below) is detached, with three big bedrooms and large gardens, and needing work. 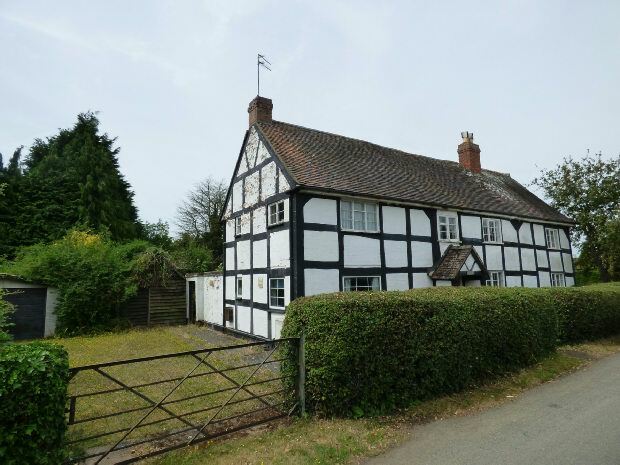 It's in the village of Lower Moor, just outside Pershore, around 17 miles from them and on the same GWR trainline that passes under their balcony. 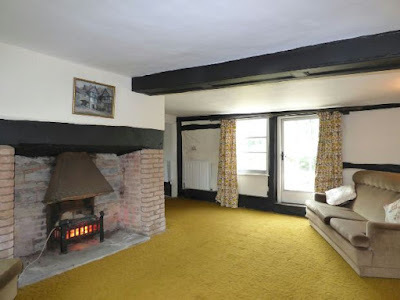 On the market with the John Goodwin at offers over £300k. Pictures and details here and here. Got a similar renovation story? I'd love to hear from you.